Cast a Vote for Your Favorite Freebie! Prizes to WIN! Looking for a way to teach your students important lessons about the right way to treat one another? 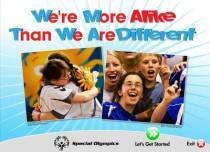 Check out free online games from Special Olympics. Designed for general classrooms, these games cover important topics like respect, acceptance, and speaking with kindness. Plus download the free Get Into It curriculum with lots of activities you can try in your classroom. Take a look! There’s a new Jan Brett book that you simply must see! Mossy tells the tale of a one-of-a-kind turtle who will capture your heart. Visit www.janbrett.com and find out about contests and giveaways, including a chance to win a copy of the book and a chance to win a school visit from Jan Brett. You’ll find free activities, too! New contests are starting all of the time. Click here to take a look! 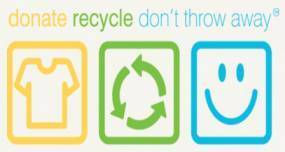 Did you know that clothing, towels, and other fabric items can be recycled—even if they’re worn or torn? It’s true! Used fabrics can be turned into all kinds of new products. Teach your students this Earth-friendly lesson and enter for a chance to win a $500 classroom grant from SMART: Secondary Materials and Recycled Textiles Association. Plus you can download free activities correlated to the Common Core State Standards. Enter now at www.themailbox.com/smart! Get your students ready for their next presentation with free tools from Elmer’s! Students will find tips on choosing a topic and planning their presentation. Plus there’s advice for parents, too. Science fair is right around the corner; take a look now at www.presentationready.elmers.com. Have you signed up for the Animal Ambassador program? This program from the International Fund for Animal Welfare provides free activities that reinforce Common Core State Standards. Plus there’s a monthly drawing for a $100 Amazon gift card and a grand prize drawing for a $1,000 Visa gift card! Sign up now; it’s all at www.themailbox.com/ifaw. Help your students Step Into Reading with this series from Random House. Step Into Reading offers five carefully developed skill levels for emerging readers. Titles focus on science, social studies, and math, and other kid-friendly topics. Check out the book list and get a free educators guide at StepintoReading.com. Click here! Okay, my fellow Americans. Don’t miss your chance. Let your voice be heard and vote for your favorite freebie. We’re counting on you! PS: LAST CHANCE! The iLove My School sweepstakes from Funding Factory ends today! Enter now for a chance to win an iPad, PLUS download free activities. Click here now! The classroom set of whisper phones would be a great benefit to my classroom of third graders. New books would be grand. Would love the whisper phones for guided reading!! Whisper phones would enhance language skills, word pronounciations, and reading skills in our Early Childhood Center. 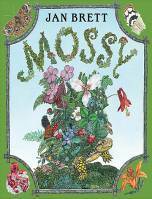 Jan Brett and her new book Mossy has my vote. I just love her books as do my Kids. I really like Jan Brett. Can’t wait to read her new book! I love Jan Brett’s stories.Her books make for great conversations in the classroom. I like Jan Brett’s Mossy. I love Jan Brett! Her new book sounds absolutely amazing. I like books with unique characters. My favorite freebie is Jan Brett. I love her books! Ditto to anything Jan Brett! My favorite freebie would be the Jan Brett book. She is awesome. I like the WhisperPhones set. My students would love to use these in a center. The Jan Brett book. Love all her books. I would love to win the $500 grant from SMART. I am always looking for more ways to recycle and take care of our planet. Absolutely, the animal ambassador program! I live in an area without a zoo closeby and students need to learn and see animals in order to be able to want to protect them in our future! Jan Brett’s book lookes neat! Id love to share it with my class! I posted previously, but the comment doesn’t show up. Gotta love Jan Brett!! Very excited to hear about a new book!! I love the Today on election Day book. Would love to win it.